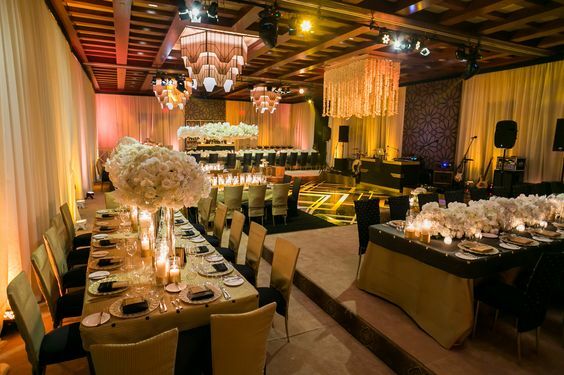 When Anum and Muhammad hired Exquisite Events to design and coordinate their wedding, we were so excited! They are such a warm and sweet couple, so gentle and fun and so very clearly in love. 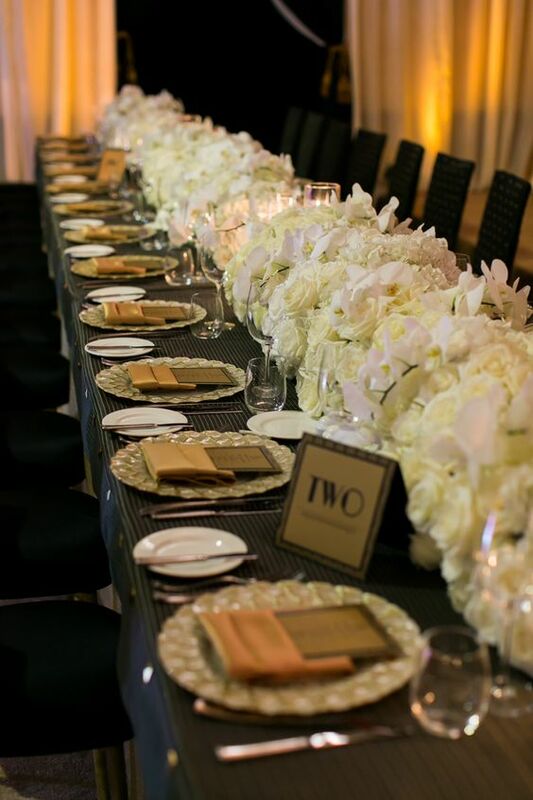 While we were hired early on in the process (still with about one year until the wedding), the couple had already chosen the venue for their reception and it was to be held at Vibiana. 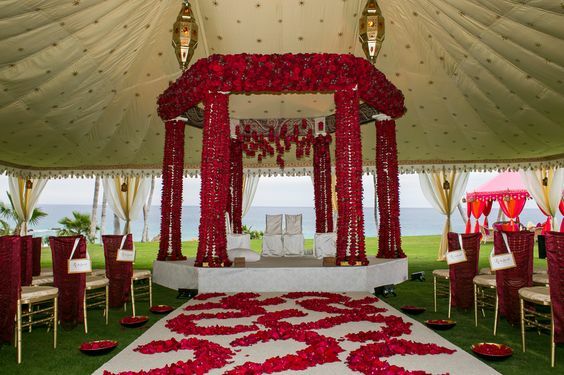 In this traditional Muslim affaire, the couple had exchanged their vows the previous day and the reception would be a grand celebration with friends and family of their first day of married life. Vibiana holds the greatest challenges and joys in design, providing simultaneously, some of the most beautiful and detailed architecture in Los Angeles and a blank slate. 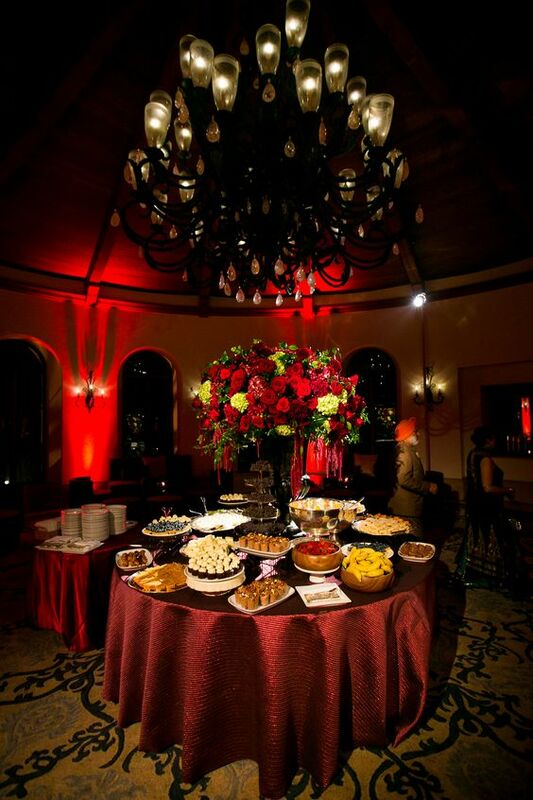 To successfully design an event at Vibiana, one must first respect the space and work within it. 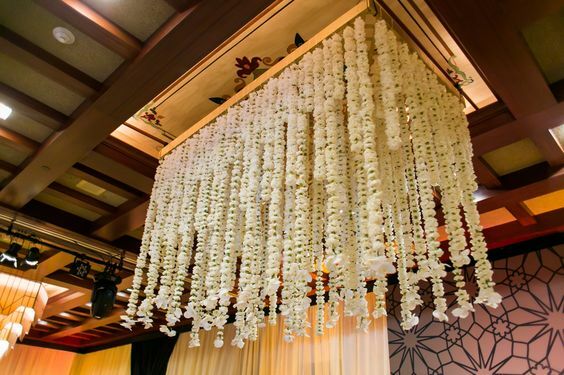 The details at Vibiana are so incredibly beautiful that a lot of fussy, complex designs would only compromise the true beauty of the space, the very beauty that inspired Anum and Muhammad to choose Vibiana to begin with. 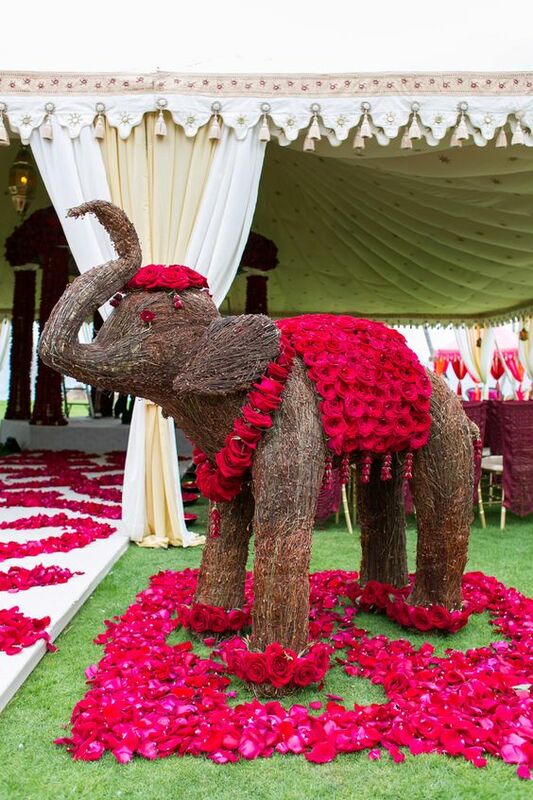 The bride wanted the color pallet drawn from her traditional Muslim gharara of aubergine with Tiffany blue accents, which, while two of Nikki’s favorite colors, were not two she had used together before. Always excited by something new, Nikki decided aubergine would be the dominant color, Tiffany secondary and that the two would be perfectly married by a platinum grey. With her space and color pallet decided on, Nikki began to work on the details of the design. The primary lines of the space at Vibiana are very long and clean and so it was decided that there would be no round guest tables – that all of the tables would reflect what is already suggested by the space so as to complement and not compete with it. 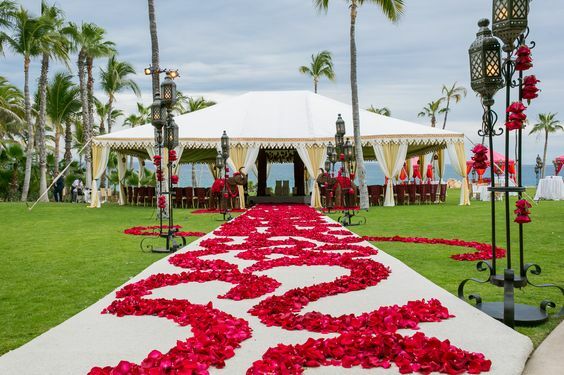 Guest tables would be both square and rectangular with the large families of the bride and groom sitting opposite one another at very long one-sided tables on either side of the forever-long white aisle runner. 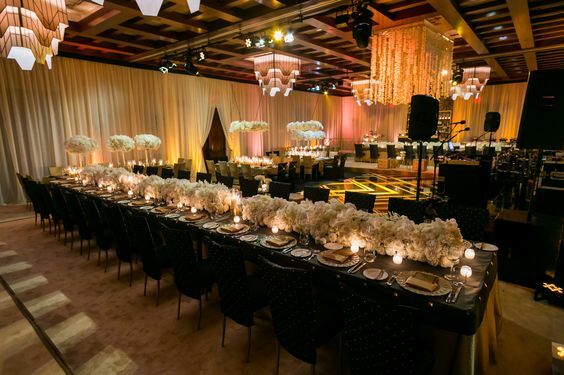 The effect of this arrangement was something that, while lovely in setup, Nikki knew would be its most beautiful once the faces of these two families filled the tables. 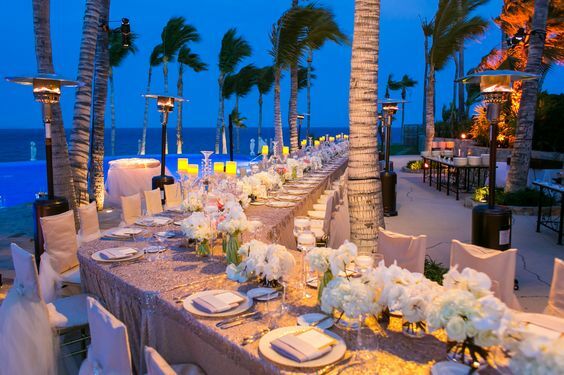 Each of the tables for family and guests were dressed in tailored satin aubergine linen and flanked by silver Chiavari chairs with Tiffany blue cushions. The place settings featured delicately folded Tiffany blue napkins atop silver beaded chargers, detailed silver flatware and surrounded Shirvan Design’s beautiful arrangements of soft lavender roses, hydrangea, classical candelabras and mirrored trays set with softly glowing candles. The room at Vibiana was awash in violet light, highlighting the detail of the architecture and décor with a stunning gobo ceiling treatment that added another touch of fine detail. It is tradition that the bride and groom sit while their guests come to give their blessings, well wishes and monetary gifts and the altar at Vibiana was the perfect stage for this beautiful couple. Very simply adorned with violet-hued glass bubbles holding candles on the altar, the newlyweds held court on an elegant aubergine setee, chatting and taking photos with their guests. It was clear that the unification of this couple was a truly joyous occasion for all. Anum and Muhammad’s families spent much of the reception smiling and laughing with one another, the men from he Anum’s family wearing boutonnieres in aubergine and the Muhammad’s in Tiffany blue. It was such an incredible pleasure to see such happiness and love between these two families and to have the honor of designing the details for this day they will hold forever.